Best Buy launched online iPhone X pre-orders last Friday, allowing customers to place $50 deposits down to reserve the latest iPhone from their carrier. The best sellers list appears to be determined automatically and emailed out to customers, showing the hottest sellers of the week. 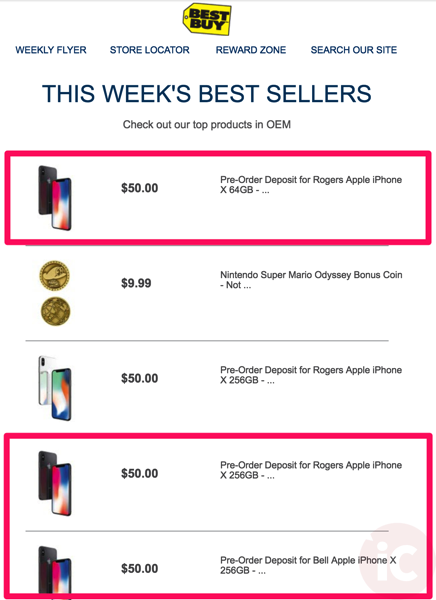 At the top of the list is the 64GB iPhone X in Space Grey for Rogers, followed by a Nintendo Super Mario Odyssey Bonus Coin (score! ), then 256GB iPhone X in Silver and Space Grey for Rogers, and the 256GB iPhone X in Space Grey for Bell. 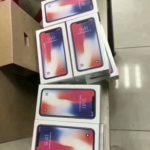 Last week, Rogers called iPhone X demand “tremendous”, while they updated their outlook on iPhone from “anemic” to “good”, in the span of just a few weeks.